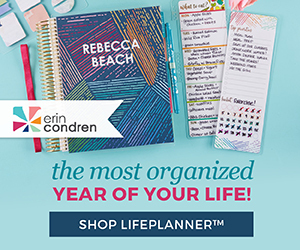 Last month I told you all about the new Skinnygirl Protein Shakes and Bars. I hope you have been enjoying them! 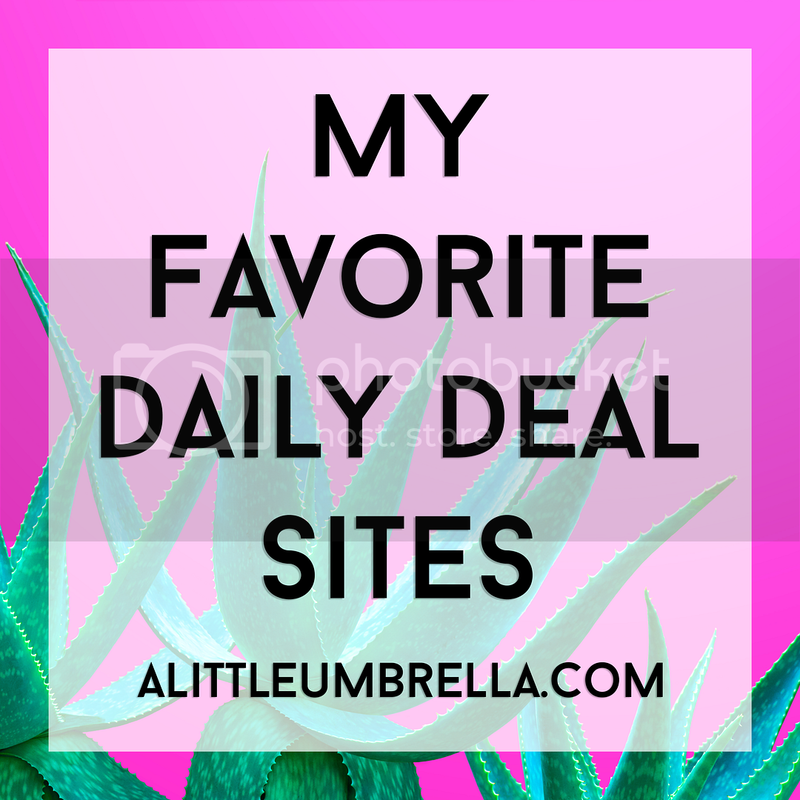 Besides the basic (and convenient) stash and go option, there are other fun alternative ways to consume them! Now that the holidays have gone, you may have some extra peppermint lying around. 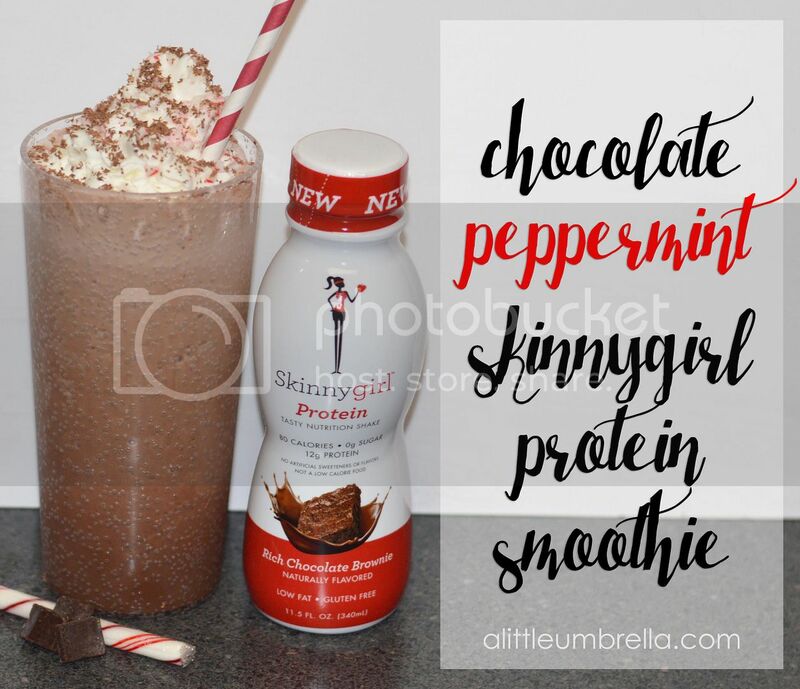 Even if you don't peppermint and chocolate are such a winning combination, you will still want to give this one a try! 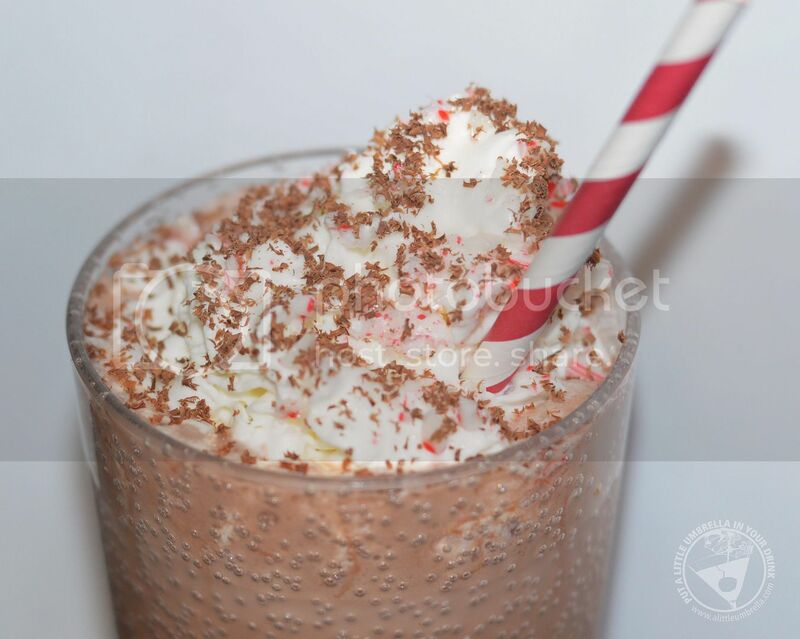 Place the shake, ice cubes, and peppermint extract in a blender and blend until smooth. I added whipped topping, a sprinkle of crushed peppermint candy cane, and some shaved dark chocolate to the top of my smoothie. These are totally optional. 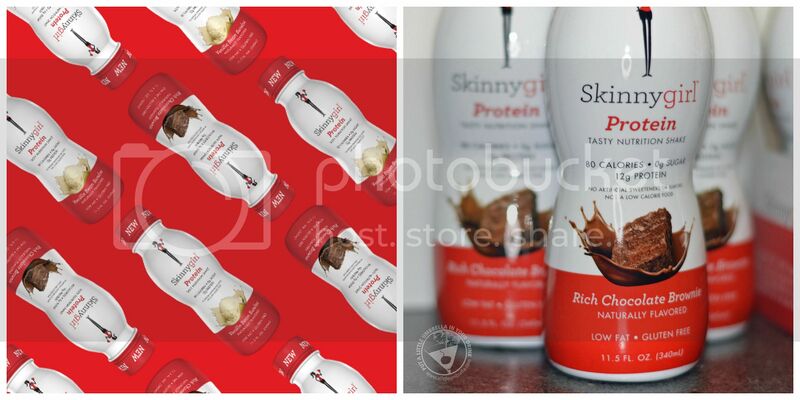 Skinnygirl Protein Tasty Nutrition Shakes are the newest addition to the Skinnygirl family of products. They are now available at Walmart, and will be coming soon to other retailers. These shakes are ready to drink and come in 2 delicious flavors: Rich Chocolate Brownie and Vanilla Bean Sundae. Each of the Skinnygirl Protein Tasty Nutrition Shakes are naturally flavored with 80 calories, 0g sugar, and 12g protein. 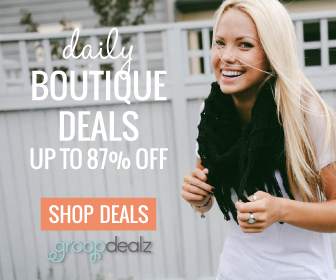 They are also low fat, gluten free, and are $5.78 at Walmart. 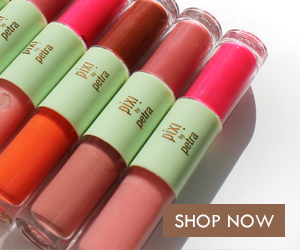 They are also available by the case at SkinnygirlDaily.com. Connect :: Visit skinnygirldaily.com to learn more about the new Skinnygirl Protein products! Be sure to also follow Skinnygirl Daily on Facebook and share your excitement about the new products with the hashtag #SkinnygirlProtein. 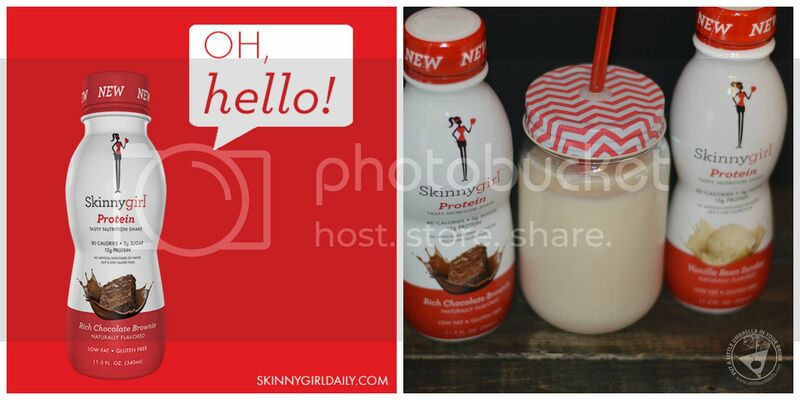 You can also find Skinnygirl Daily on Twitter, Instagram and Pinterest.